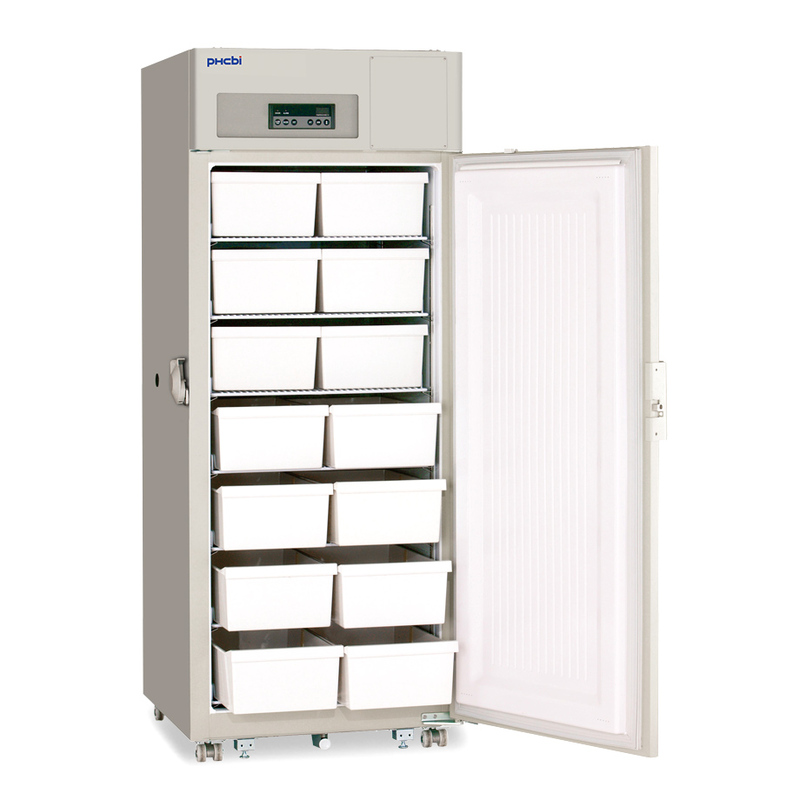 PHCbi high-performance biomedical freezers offer auto and manual defrost storage solutions for uniformity, reliability and environmentally safe operation. 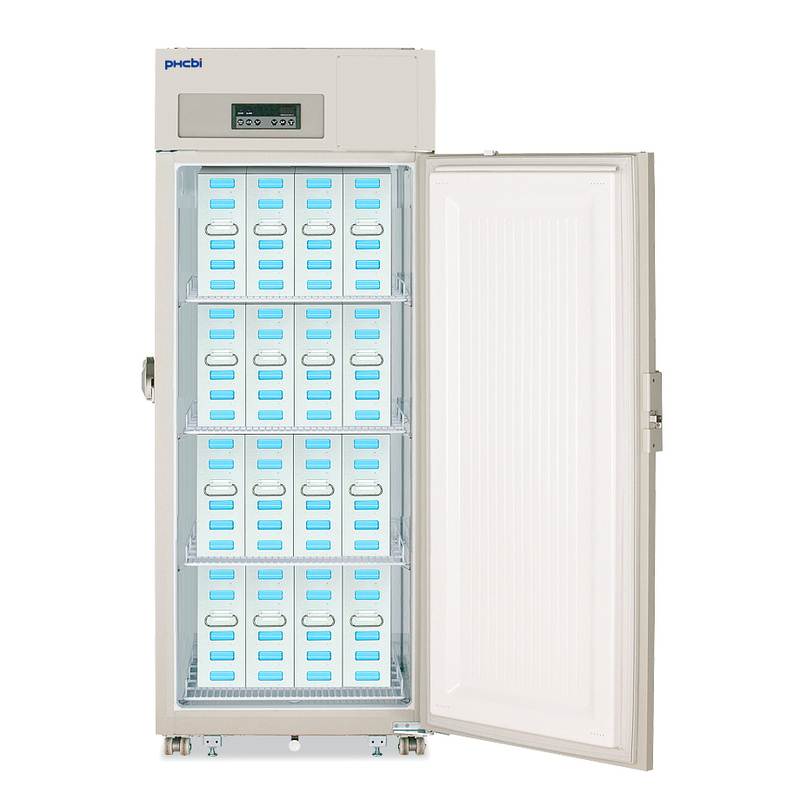 The optional full storage system creates a flexible and convenient inventory system for enzymes and many other types of samples. The total system includes 14 storage bins and wire shelving. Constructed with high performance laboratory and clinical-grade refrigeration systems, these high-performance biomedical freezers are used in clinical, biotechnology and industrial labs. Unlike many other -30°C freezers, the PHCbi High Performance Biomedical Freezer Series has cooling coils strategically spaced in the freezer walls, along both sides, the back, the top and the bottom of the chamber to ensure maximum cooling performance. 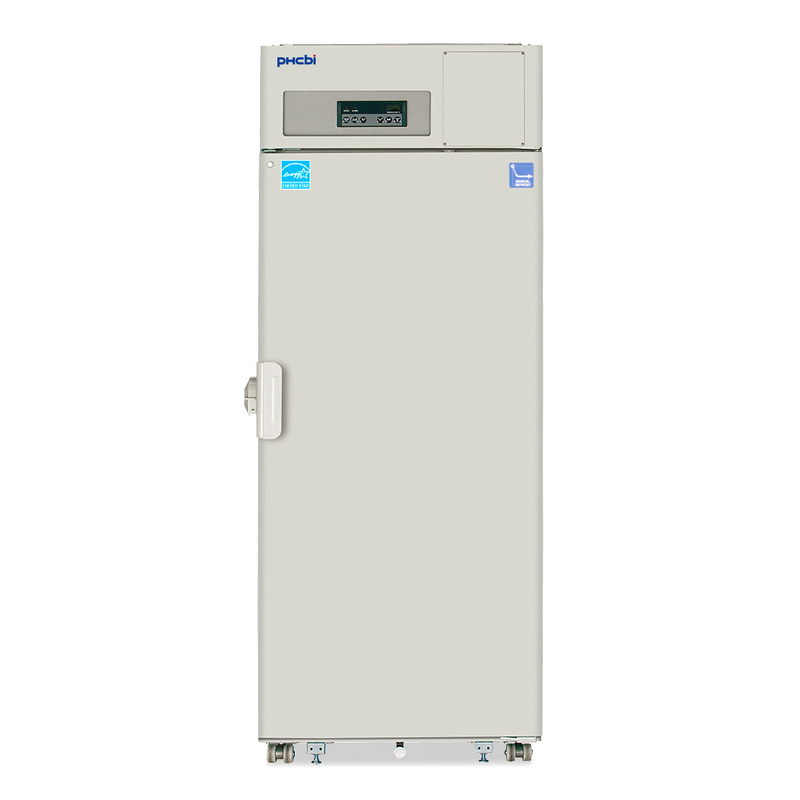 The robust short-term lab storage freezer, powered by PHCbi compressors, provides dependable cooling by balancing temperature performance and energy management. Comprehensive setpoint, alarm, monitoring and diagnostic functions are maintained by the PHC-built microprocessor controller with digital display of all input/output functions. 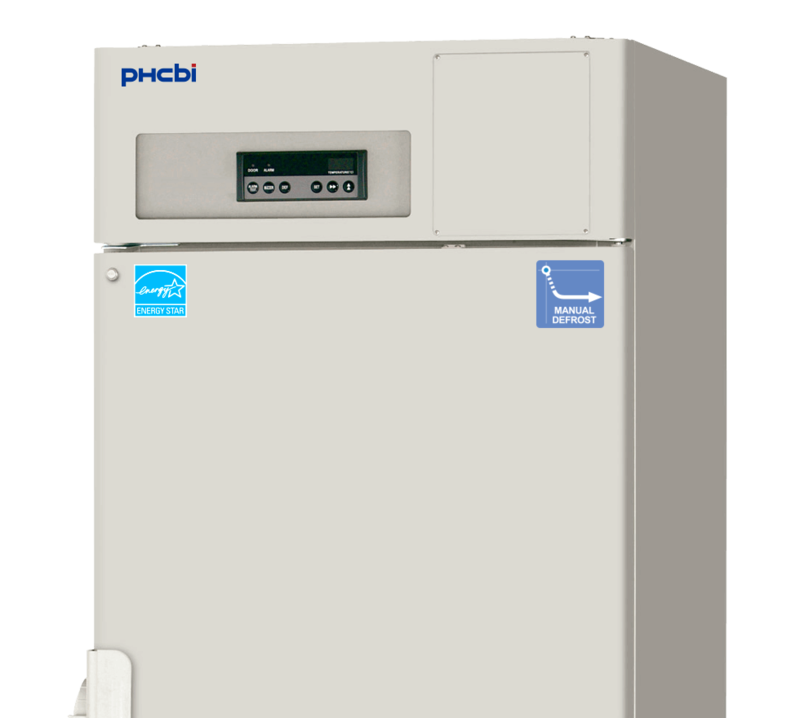 PHCbi High Performance Biomedical Freezers are designed for short- or intermediate-term storage at temperatures as low as -30°C. Constructed with high performance laboratory and clinical grade refrigeration systems, these freezers are used in medical, biotechnology and industrial labs for storage of blood components, enzymes, culture media, reagents, specimens and vaccines. 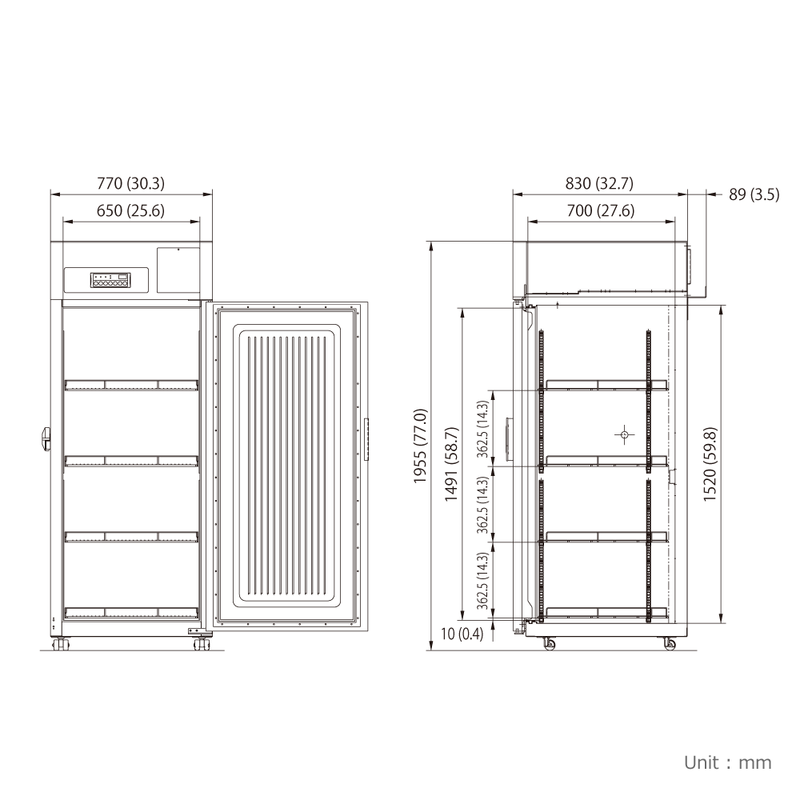 The MDF-U731M-PA -30°C Upright, high-performance medical freezer was designed with the features to give superior uniformity, microprocessor control and large storage capacity. Two access ports, casters, remote alarm contacts and security features are included as standard features.